Born in Wheeling, West Virginia, Hook graduated from Washington University in St. Louis, Missouri in 1890. Why he selected Charlotte, North Carolina, as his destination is not known, but he moved promptly after graduation to the growing industrial and commercial city, where he was listed in the Charlotte city directories as an Instructor of Drawing at the Charlotte Graded School in 1890, 1891, and 1892. At that time, many ambitious entrepreneurs and others were drawn from far and wide to try their luck in the New South city. In 1891, he began his career as an architect, and continued working until his death in 1938. He married Ida McDonald of an established Charlotte family in 1896, and they had two children, Walter and Rosalie. Eager to make his mark in the growing city and region, Hook published his first (known) entries in the Manufacturers' Record shortly after arriving in Charlotte, while still teaching at the Charlotte Graded School. In the October 24, 1891, issue, he reported that he had made drawings for a residence for S. Wittowsky in Charlotte, a residence for F. B. McDowell in Blowing Rock, and an Episcopal Church in Blowing Rock, suggesting that he was already attracting prestigious clients. Whether any of these was built is not established. Between 1891 and 1899, Hook listed thirty-two projects in the Manufacturers' Record, including residences, schools, municipal buildings, hotels, and commercial buildings. For some, he reported only that he was making or had made drawings, while for others a contract had been awarded for construction. From 1891 to 1910, nearly every issue of the journal contained a notice from Hook, and more followed in subsequent years. Hook also used local newspapers to educate the public about architecture while publicizing his practice. Like many Americans, he found that his trip to the 1893 World's Columbian Exposition in Chicago inspired affection for the white-columned porticoes of the Colonial Revival and other associated revivals. Upon his return from the fair, he suggested in an article in the Charlotte Observer that readers should visit Washington, D.C. on their way to or from the exposition, to learn about the classical orders of architecture and the placement of buildings in well-organized landscapes. In the September 19, 1894, Charlotte Observer he presented the "Typical Southern Home" he had designed for J. Frank Wilkes, "after the true classic style of architecture, which at one time predominated the south and is again being revived"--a design suggesting that Hook was the "father" of the Colonial Revival style in Charlotte. Complementing his publicity in print, Hook was a shrewd businessman who made important contacts early in his career. 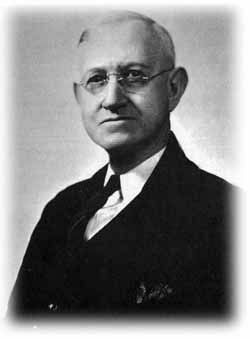 One of his earliest associations was with the Charlotte Consolidated Construction Company ("the 4 C's"), the developers of Dilworth, Charlotte's first suburb. Lead developer Edward Dilworth Latta initially employed Hook to design several "new-style" houses for the neighborhood to promote sales. Among the first residences Hook planned in Dilworth was the Mallonee-Jones House (1895), home of another developer of the suburb and one of Hook's last works in the eclectic Queen Anne style. Hook continued to design houses for Dilworth in a variety of styles over the years. By 1898, Hook had established the first of his three architectural partnerships. Hook joined with New Yorker Frank McMurray Sawyer to form Hook and Sawyer, which operated from 1898 to 1905 and reported 103 projects to the Manufacturers' Record. In this, as in later partnerships, it is difficult or impossible to know which man designed which buildings or what their division of tasks may have been. The firm employed a few other workers, probably draftsmen, and a boy named Kenneth Whitsett to run blueprints. Whitsett later recalled, "I could only work on days when there was sun. I ran blueprints onto the main roof of the Trust Building, and waited for the sun to come out. . . . I'd watch people on the street, and a man plowing out on a farm. When he got to the other end of the field, I'd pull the blueprint in." (Kratt and Hanchett, Legacy). As partners, Hook and Sawyer planned numerous buildings in Charlotte, both downtown and in the new Charlotte suburbs of Hill Crest, Colonial Heights, Wilmore, and Piedmont Park. They also gained a series of major commissions that extended their reach far beyond Charlotte.